“Gesamtkunstwerk” is a German compound noun that translates to “total work of art.” It is also the title of the latest release from local rap group Dead Obies, a wonderful Frankenstein of live tracks edited and enhanced in the studio. Gesamtkunstwerk is still a blend of hip hop, rap, and electronica, but the Dead Obies have shifted their focus from lyrics to production for this album, taking an almost exhibitionist approach to their craft. The process of creation is baldly displayed without compromising the integrity of the lyrics or production; what continues to set the Dead Obies apart from other Quebecois rap groups is their language choice, or rather a lack of one. Self-dubbed “Frenglish,” the members slip effortlessly between English and French with such speed and expertise that the two distinct languages blend into one poetic slurry. Following the success of their 2013 release Montréal $ud, Dead Obies decided to make their next opus a gift to their loyal fanbase. Teaming up with music improv group Kalmunity, they played at the Phi Centre for three nights and sampled the live recordings, taking performances, the crowd’s applause, and individual audience interviews and mixing them in with recorded takes. This seamless patchwork of live and recorded takes was stitched together with surgical precision by the group-appointed producer, VNCE. The album is intended to be heard as a whole work, and I would agree with this sentiment. Of course, there are a number of tracks that stand out among the fairly large list. Gesamtkunstwerk leads in with “GO 2 Get,” an explosive opener that serves as an immediate draw. Lamenting the everyday troubles in life to an undercurrent of cheering fans from one of the Phi Centre performances, the track provides an excellent introduction to the overall tone of the album. The six rappers who comprise Dead Obies take turns spitting out lyrics, effortlessly subbing in and out. “Waiting” is a celebration of concert life, lively trap music combining with a sensual bass beat. “Jelly” is more funky, with cooler synth laid over deep bass and remixed rhythmic vocals. “Explosif” begins with a sample of distant fireworks, then continues with slow, smoldering instrumentals mixed in with varied odes to party and drug culture for an extensive eight minutes. The blend of French/English vocals is particularly noticeable in this track, adding to the mixed messages provided by individual members of the group. “Aweille!” is one of the singles released before the album, and is an aggressive dance track that includes a perfectly catchy chorus of “aweille” (a local phrase roughly equivalent to “come on!”), repeated and remixed. “Untitled” is a jazzy, smooth track that shows off the group’s more sensual side, and approaches something played on a late-night show for slow-wave funk. Towards the latter half of the track, the lyrics dissolve into a live recording, with the members taking turns talking in French to an instrumental vamp and a cheering crowd. “Outro,” the final track on Gesamtkunstwerk, is an instrumental electronic track that smoothly and quietly ties together Dead Obies’ “work of art,” ensuring the transformation from just another local rap album to something deserving of admiration and high praise; rap is just one form of artistic expression they utilize. 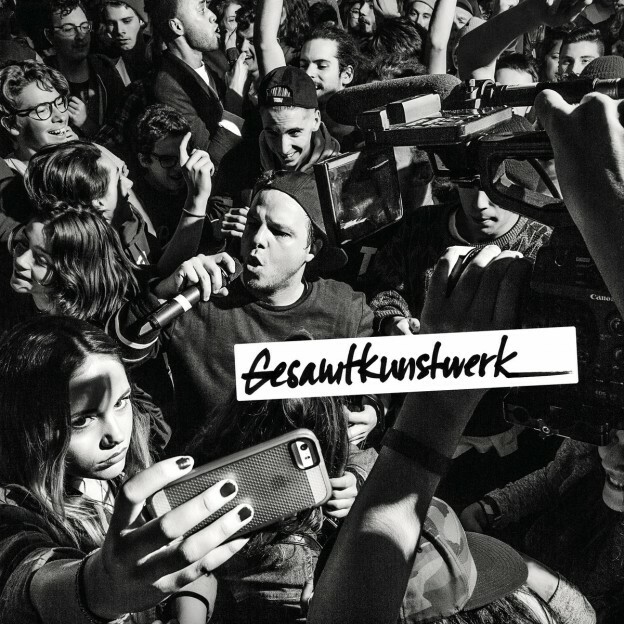 Gesamtkunstwerk ultimately serves as a big “thank you” to the Dead Obies’ fans; Phi Centre saw a big turnout for the fairly underground rap group, and allowed them to produce the album well. They gained, then lost, a Musicaction grant funding the production of the album; due to strict Quebec laws governing language, the group did not meet the 70% French lyric quota. However, even as they are continually rejected by mainstream media and their own province, Dead Obies still maintain a loyal (and growing!) fanbase and the quiet integrity of talented artists with a vision. They are dedicated to their craft and to creating the “total work of art” that they feel listeners deserve. This entry was posted in CKUT programming, Reviews and tagged album review, Dead Obies, electronic, Gesamtkunstwerk, hip hop, local artist, Montreal, rap on March 30, 2016 by Juliana Van Amsterdam.